Prime Minister Peter O’Neil and Deputy Prime Minister Leo Dion must see common sense and rescind their decision on a license for Nautilus says Gazelle MP Malakai Tabar. Mr Tabar said the government must listen to common appeal to stop this project. “The people pushing this whole project, from within government and also outside of this country have no understanding of our living systems and would not give a hoot of how much we all lose,” he said. The Gazelle MP said he attended a few presentations and had difficulty trying to understand how this sea bed “grading and digging” would not affect marine life. “As the member for this electorate, mandated by my people, I believe my people and the other coastal communities throughout the eastern shoreline of Papua New Guinea would be worst affected,” he said. “Apart from the Environment Impact Study report that was obviously done by somebody from Nautilus office in Canada, the question of how much we will gain and benefit from stands tall against Papua New Guineans. There is nothing in this project for Papua New Guineans. There is no proper or long term employment, there is no royalty and there is no business influence, especially for and by nationals,” Mr Tabar said. A Local Land Court Decision in 1981 awarded ownership of Mangense Land to the Babuaf (Babwaf) clan which covers Wafe (Wafi) Explorations License (EL) 440 and EL 1105. The Babuafs are Lower Watut River people and they speak the Wampar (Markham) language. Wafe (Wafi) in their language means crab, in particular little black and red crabs that live along the banks of rivers in their area and that is where Wafi derived its name. The Babuaf are split into two sub-clans Babuaf Saab and Babuaf Wale. The 1981 Local Land Court decision that awarded ownership of Wafi and in particular EL 440 and EL 1103 still stands. It has never been set aside and appealed successfully by any disputing parties in the fight for ownership of the land at the Wafi-Golpu Mining Project on the borders of Bulolo and Huon Districts in Morobe province. Wafi-Golpu according to latest exploration statistics is said to become the third largest mine in the World but some experts are predicting that it will be the largest. However, landownership of EL 440, 1105 and 1103 is still being disputed and the fight lingers on in the court rooms of Bulolo, Mumeng, Lae and Port Moresby. The dispute centres more on EL 440 and 1105 which is Wafi while EL 1103 is Golpu. Court Documents dating as far as 1981 obtained by Post-Courier from a Bill Itamar, the Chairman of Sa’ab Babuaf Resources Limited, is contrary to what other claimants have stated in the newspapers and have reported to reporters and media outlets. A Local Land Court sat in Mumeng in 1981 and 1982 after hearing all evidence, awarded the ownership to Babuaf, based on ancestral evidence. That decision was appealed by Engabu (Hengabu- the same) tribe of Mumeng in 1983 to the District Land Court but the decision of the Local Land Court was upheld and the case was thrown out. Mr Itamar said another appeal was launched through the District Land Court and was thrown out because the rules of the courts were not followed. He said their ownership was also recognised by the National Court through Originating Summons 19 of 1987 before Justice Woods. “All these decisions have not been challenged for the last 31 years and other claimants are misleading everyone,” he said. According to the documents Babuaf then sought to evict the Engabus and an Eviction Order was granted in 1983 for the Engabus to be evicted from the vicinity of the Wafi-Golpu project area. That order was reinforced again through Originating Summons 736 in the National Court in Lae before Acting Judge Justice Nema Yalo in 2008. Mr Itamar said Justice Yalo had ordered for the Engabus to be evicted and that they are unlawfully occupying the land but they have defied the Court Orders to date, and are in Contempt of Court. He also clarified that the Hengabu and Yanta clans only have 50/50 Compensation Rights at Wafi-Golpu for destruction of gardens, cash crops and sacred, ceremonial trees and grounds. O’Neill/Dion Government and for the matter to be heard and be put to rest once and for all. Guess what? Nautilus says its mine will be safe! NAUTILUS Minerals asserted yesterday that its Solwara 1 project between East New Britain and New Ireland provinces would have minimal impact on the marine environment. In a comprehensive media briefing at a hotel in Port Moresby, Nautilus chief operating officer Anthony O’Sullivan and PNG country manager Mel Togolo, explained how the underwater mining would take place before taking questions from journalists. Nautilus has developed a “closed” production system to ensure surface impacts were a minimum. The mineralisation is disaggregated on the seafloor using robotic equipment, which delivers the material as slurry in seawater to the surface vessel, where the seawater and solids are separated using conventional equipment. Sullivan, a geologist, said the Solwara 1 project was a ‘Level 3’ activity under the PNG Environment Act 2000 (Section 53), which required that an Environment Impact Statement (EIS) to be submitted to the PNG Department of Environment and Conservation (DEC) for their review. “The Solwara 1 project environmental footprint consists mainly of a single production support vessel, with attendant support vessels, and precision production machinery operating in an area proposed for extraction of approximately 0.11sqkm,” he said. “There are no directly-affected landowners. “An extensive multi-stakeholder approach has been used in preparing the Environmental Impact Assessment (EIA) and the EIS for the project. “Workshops were held involving local and international NGOs, PNG government, and local and international scientists to determine the studies that were required to properly evaluate the environment, to identify which groups should conduct these studies, and to estimate project impacts. “In order to promote transparency and to ensure that leading scientists would be involved with the EIA studies, it was agreed that collaborating scientists would be free to publish the results of these studies, no matter what their findings were. “This has resulted in more than 36 papers and articles being published in international peer-reviewed journals and/or presented at international conferences. “On completion of the studies, once again multi-stakeholder workshops were convened to review the findings holistically and to propose mitigation strategies to minimise environmental impact whilst maintaining overall biodiversity and ecosystem health and function. The EIS was submitted to the DEC in September 2009, and public hearings for the EIS were held on November 2009. “The EIS was then reviewed by the DEC and an independent international consulting group was engaged by the DEC over a six-month period,” O’Sullivan said. Cook Islands is one of the first countries in the world to enact the Seabed Minerals Act 2009, which will commence in March 2013. Launching the regional legislative and regulatory framework for deep sea mining in Rarotonga this week, Deputy Prime Minister, Tom Marsters said the Act was designed to regulate any future sea bed mining activities within Cook Islands exclusive economic zone (EEZ), in particular the island’s huge manganese nodules resource. “I believe now, as ever before, it is very exciting time to be a Pacific Islander. We are sitting in a region that is looking to grow, develop and be part of an emerging deep sea minerals industry, both in national and international jurisdiction. “Indeed, the opportunity these previously untapped resources may present, for improving economic well being of our Pacific people was once just a dream our past leaders and that dream I believe is fast becoming a reality. However, with all the excitement, DPM Marsters called for caution. “We would not want to do anything today that will ruin the lives of our children and grandchildren, in cultural, social, environmental and economic terms. The proposed regional framework for deep sea mining seeks to provide Pacific Islands with tools necessary to make a decision about whether or not to engage with the emerging deep sea mining industry. In 2009 Pacific Leaders at their meeting in Cairns called for the development of a regional framework on sea bed mining to allow countries to realize the economic benefits from their marine mineral resources, while supporting the environmental monitoring that preserves fragile marine ecosystems and biodiversity. Don’t you just love mining companies? The 270 miners arrested during violent strikes in South Africa have been charged with the murder of their 34 colleagues who were shot dead by police. The murder charge – and associated charges for the attempted murder of 78 miners injured at the Marikana mine near Johannesburg – was brought by the national prosecuting authority under an obscure Roman-Dutch common law previously used by the apartheid government. The move came as the men appeared in court charged with public violence over the clashes at the Lonmin platinum mine on 16 August when striking miners armed with clubs, machetes and at least one gun allegedly charged police, who opened fire. It suggests President Jacob Zuma’s government is trying to shift the blame for the killings to the striking miners. The prosecuting authority said all 270 miners had been charged. Less than one in 10 Lonmin miners turned up for work at the mine on Tuesday, the lowest level since workers returned to work following the clashes. Violence has since spread to Lonmin’s other operations. The firm said 8% of its 28,000 workers showed up as union protests continued. Lonmin had initially threatened to sack striking workers. The Director General of the Secretariat of the Pacific Community (SPC), Dr Jimmie Rogers has defended criticisms leveled at the regional legislative and regulatory framework for Deep Sea Mining (DSM) launched in Rarotonga at the margins of the Pacific Forum Leaders meeting Tuesday. 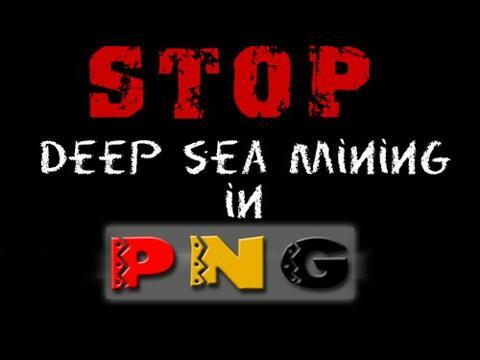 A coalition of regional civil society groups had earlier in the week called for a moratorium on deep sea mining activities in the Pacific until all risks and uncertainties are properly analysed. The civil society groups sought legal opinion from the U.S Office of the Environmental Law Alliance Worldwide to provide clarity on the appropriate level of action that must be undertaken by Pacific governments to meet their national obligations on the ‘precautionary’ principle in seabed mining. Dr Jimmie Rodgers does not agree with the interpretation of the civil society groups. “The regional framework provides our countries and territories of the Pacific a set of tools that will allow them to assess, firstly do we want to engage in deep sea mineral mining, if the answer is yes, what are the steps we go through. “For any legislation to work, it must have a regulatory framework, similar to what we are recommending. We are saying, if you do this, these are benefits and you have to make sure there are safeguard mechanisms to protect your resources. Dr Rogers said the DSM framework is a tool that enables countries to engage in the development process of the legislative framework. “Most of them don’t have that. This is our concern, if commercial companies come into the region and push the agenda for mining, our resource owners might see and love the dollar sign and agree to allow companies to come in without any legislative base. The SPC head argued the new regional framework will allow Pacific countries and territories to think through their options before developing a legislative and regulatory framework for deep sea mining activity. “Our agenda is to enable countries to be knowledgeable and have the tools they require to think through the process. And if they want to engage, they should know who they want to be engaged with at the national level, with NGOS, civil societies, churches, governments and industries. Dr Rogers assured the DSM framework launched by Pacific Forum Leaders was developed with stakeholders. “I understand these NGOs are here. I’d like to talk to them because I think we are operating at two different levels. I don’t think we necessarily disagree with the principles they are saying that should be safeguarded, they are in the framework. “Their concerns are real. I am not belittling their concerns but I think they can be too closed shop and not opened to looking at what the framework is trying to achieve – to enable the countries to develop. “Let me pose these questions – would these NGOs prefer that Pacific Island Countries don’t have any legislation and commercial companies walk in, offer money and buy off the minerals? “I don’t think so, and if what I think is what they want, then the framework provides a protection, said Dr Rogers. The framework was launched by Dr Rogers and Cook Islands Deputy Prime Minister, Tom Masters in the presence of a number of Pacific Islands Forum Leaders.